When you start thinking about having a child, one of the major questions that comes up is “How will we pay for their college?” Many parents want to be able to help put their kids through college, and as we all know, college is expensive. Saving for a college education can take decades. At first glance, the prospect of saving up enough money to put a child through college can be incredibly daunting. But with a few solid principles, you can have enough money to get your child well on their way to a college education. Read on to learn a few tips on how to save for college. One of the most important early steps in saving for your child’s college education is figuring out how much that education is going to cost. If your child is young or not yet born, this may be more of a challenge because of tuition inflation rates. But having a solid plan will help you best achieve your college savings goals. A good starting point is to figure out the average tuition for a four-year public university in your state. You’ll want to adjust that by 5 percent per year to account for inflation, and keep in mind that private schools can be nearly twice as expensive. And you should also decide what your goal is: do you want to pay fully for your child’s college, or do you want to simply help offset some of the costs? Starting early is one of the best ways you can ensure you can meet your goals for your college savings. If you’ve ever read about financial planning, you probably know the impact compound savings can have on an account. The earlier you start saving, the better off you and your child will be. Ideally, you’ll want to start saving as soon as your child is born. 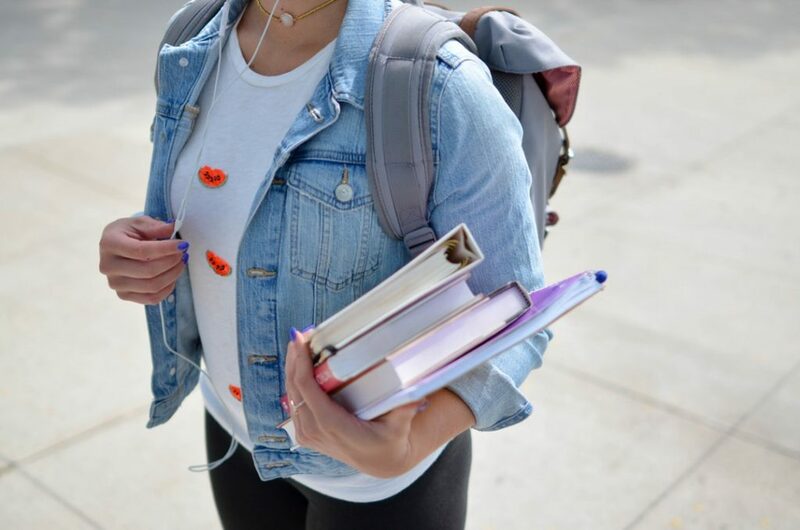 The general rule of thumb is that you should multiply your child’s age by $2,000 to determine the amount you should have saved for their college. If you want to save for the possibility that they’ll want to pursue a more advanced degree, such as a degree from Ultimate Medical Academy, you’ll want to put a little more aside. One pro tip you may not know about when it comes to college savings is that you’ll want to keep their savings account in your name. It may be tempting to put their college fund in their name, as it will be their money one day. But doing so can actually hurt any future financial aid they might be able to get. When colleges are looking at how much financial aid a student needs, they look at how much they have in terms of assets. This includes college savings accounts, and if you’ve done it right, they’ll have quite a lot of money there. For every dollar over $3,000 a student has in their name, schools remove $0.20 from their financial aid. Now if you’ve started doing the math on exactly how much you’d have to save to cover your child’s college costs, you may be thinking it’s impossible. After all, very few of us have the means to save $1,000 or more every month. Before you start panicking, remember that investments are a great way to help grow your money. It may sound strange, but putting some of your child’s college savings fund into stocks can be a great way to help you meet your savings goals. Stocks have been shown to have the most consistent, largest return over long periods of time. Talk to a financial advisor about how to invest your money so that in ten to twenty years, you’ll be able to pay for your child’s schooling free and clear. While we’re on the subject of non-traditional savings accounts, taking out a prepaid tuition plan can be a good option for saving for college. These are a variation on a 529 state college savings account, which have great tax benefits. The difference is that with a prepaid tuition plan, the state takes on much of the risk with the account. The big downside to these plans is that your child must go to school in the state the plan is in. If they want to go to an out-of-state college, you could experience a serious penalty to get your money back. But if your state has excellent college options, this can be a fantastic option. In addition to the prepaid tuition plans, there are a number of other savings account options you can look into. Which one you choose depends on how much you want to save, what your savings goals are, and a number of other factors. Talking to a financial advisor about which account is the best fit for you is a good idea. If you will be 59 ½ when your child goes to college, putting money into a Roth IRA can actually be a great way to save for college. There are also Coverdell Education Savings Accounts, known as Education IRAs, that will grow tax-free. Whether you go for a tax-deferred account or not will depend largely on your current annual income. When you’re saving for your child’s college, the most important thing you can do is stay consistent. Whether you use an IRA account or a prepaid tuition plan, start saving early or late, just be consistent. Putting money into the account regularly is the best way to reach your savings goals. Try to build your monthly savings contribution into your budget so that you aren’t trying to find where it’s coming from every month. If possible, you might want to set up an auto-transfer so the deposit takes care of itself. However you prefer to do it, make a plan to ensure that you can contribute to the account on a regular basis. Saving enough for a college education takes discipline and time, but it is one of the greatest gifts you can give your child. If you follow these tips for how to save for college, you can meet your savings goals. If you’d like to find more tips on how to pay for a child, visit the rest of our site at Kids Ain’t Cheap. We know how expensive it can be, and we have tips and tricks to help you afford to give your child the best. Check out our money management toolkit today.